Digital is changing the face of business, and your security needs are evolving along with it. The widespread adoption of technologies and applications like mobile, VPN and Office 365 have enabled your users a more frictionless work experience. But how can you ensure those experiences are also secure? 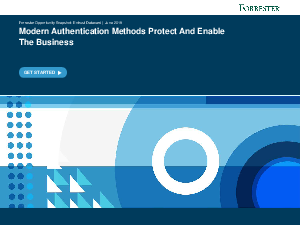 Download the 2018 Forrester Opportunity Snapshot — Modern Authentication Methods Protect and Enable — to learn more.